Before I begin this post I’d like to greet a Belated Happy Mother’s Day to all the super moms out there especially to the SavingsPinay mommy readers. I have all my love, respect and affection to all the mothers for I believe that there is nothing greater than a mother’s love. No one in our lives shapes us quite like how our mothers does. On a personal level, I am very proud of my Nanay whom I call Mama. Though we may have misunderstandings here and there, she is still the best mother ever. She is never afraid to say what’s on her mind. She will be our home’s very own Search Engine (because she will always have an answer kapag may mga nawawala sa bahay). And above all she has been my very first mentor in life. She’ll give me pieces of advice on love, life and money management. Hindi kung saan-saan lang napupulot ang pera. My Mama will always say this to us on moments when we will request for additional money whether fors something that we need or for projects that requires expenses. 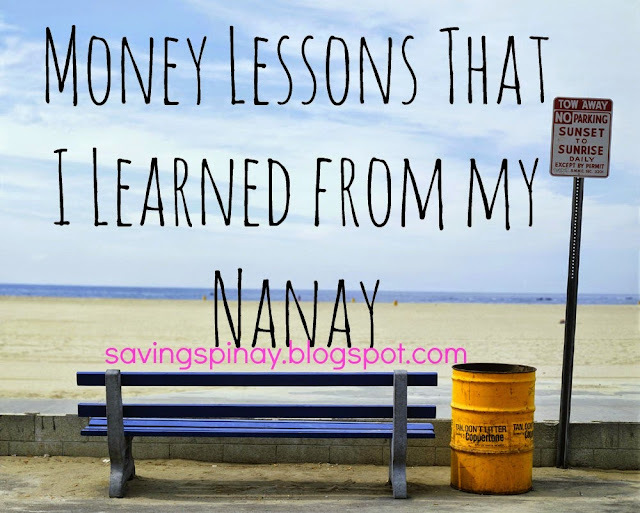 I learned from my mom to value money and not to waste it for unimportant matters. She will always remind us that the money we have today is not something easily earned so we need to be careful on how we spend it. My mom will scold me when I go to work late. I actually realized how important being on time is because of my mom. When you go on time you save quality time on the commute. You can also avoid the traffic and you can avoid spending more money just to be on the meeting place or the office within the time frame. On my first three months at my current work I didn’t know that there is an FX Terminal that could bring me to Ayala Makati so my main mode of transportation has been the bus. Bus on rush hours is the worst ever for you will be fighting for your place on the ride. There were times when I will ride Taxi instead or take habal-habal because I am already late. So it truly helps having proper time management in your life. My mom was the first person who introduced me to the core of budgeting. I will always find a special notebook on my parent’s room or on our tindahan wherein she allocate the expenses of the month or the day and the amount allocation. I will always have goosebumps as to how my Mom could budget a pretty small amount of money for a big family like us, (we are seven in the family). I am blessed to have parents that have goals and aspiration in life. Their very goal is to see us all five siblings be successful in our own life. I became a goal-oriented person because I grew up with parents that have their goals in life. Their aspirations brought clarity in what my life. I know others who grew up with a mom who is “sugarol” and a dad who is “lasinggero” and end up living in chaos. I can proudly say that me and my siblings have never experienced being in debt with the kapitbahay na may malaking tindahan (sorry for the description). My mom together with my dad worked hard to fulfil our family’s needs and wants. My mom avoids having “utang” as much as possible and reminds us not to be in debt too. She took care of of my eldest sister’s credit card so fortunately we are always in good balance. It’s true how Nanay’s can often than not be nakakairita. My Nanay and I are not the best buddies in the world but I love her in spite of our differences and the similarities that we have yet to configure. At the moment my Mom is in the province together with my Dad so we weren’t able to celebrate the Mother’s Day together. 🙁 I miss her though and I can’t wait for her to come back. 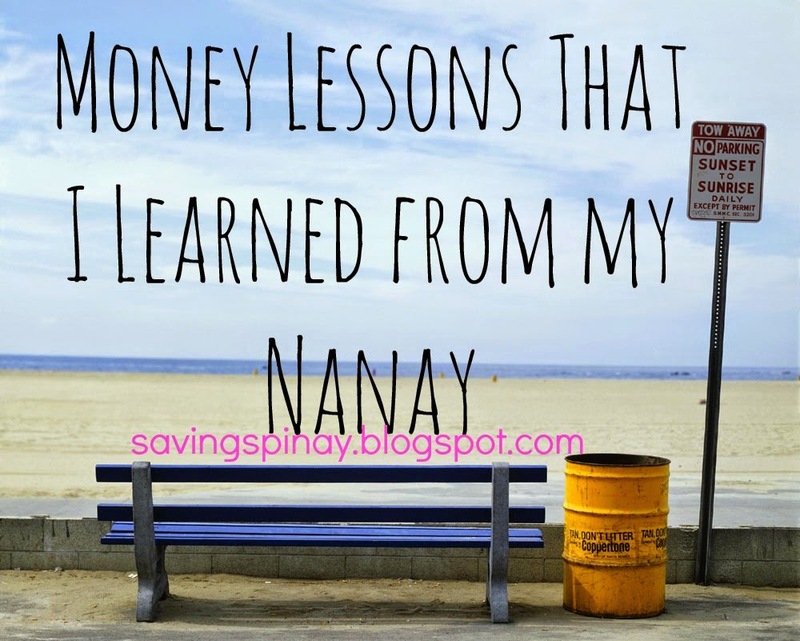 Do you have any additional money lessons from your Nanay? 15 Smart Ways to Earn Extra Income – New!